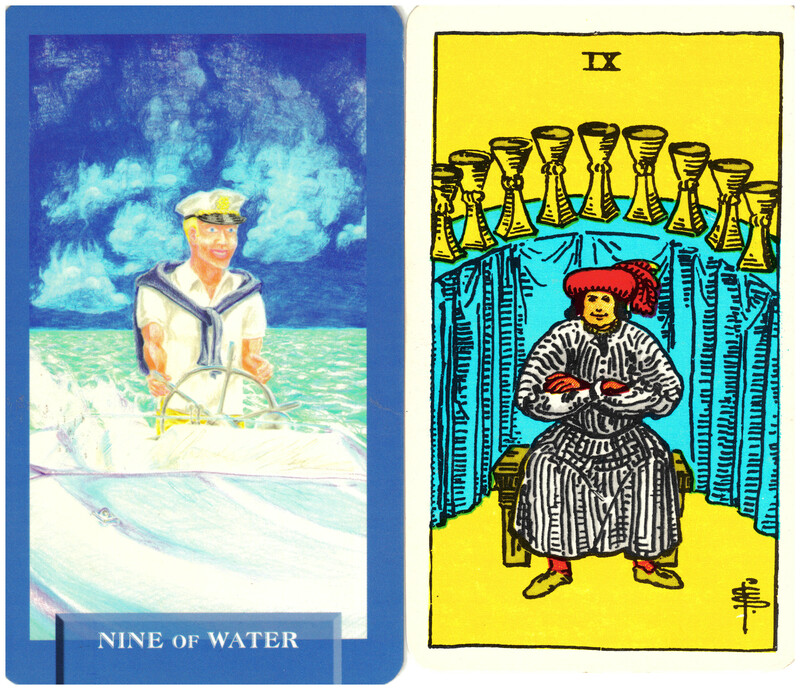 The traditional Nine of Cups in the Rider/Waite/Smith deck shows a well-satisfied man sitting in front of a row of neatly arranged cups. This card suggests that he has accomplished or overcome something to achieve his goals. A similar image graces the Today’s Journey Tarot Nine of Water. In this card the child from the Seven of Water, who dreamed of captaining his own boat, has grown up to see his dreams fulfilled. He had no doubt he could do it, worked hard for it and is now enjoying the fruits of his labor. It is a recipe for success.